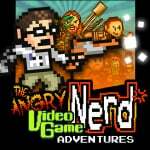 Angry Video Game Nerd Adventures is out now on the Wii U in North America, which allows you to play with handsome HD pixels, though there are undoubtedly some that want to play it on the smaller screens of the 3DS. Shovel Knight and Shantae and the Pirate's Curse are two examples of games that look great on Wii U, but arguably pop and feel particularly at home on the portable; perhaps the AVGN game will be similar. The good news is that it's getting progressively closer to release. In an interview to be published later today on Nintendo Life, Sam Beddoes - the lone developer behind FreakZone Games - says the following. The 3DS version has stereoscopic 3D, as well as some dual screen features, similar to the GamePad features on the Wii U. It's all done and going through Nintendo's approval process. We're still waiting for the game to be localised on any platform outside of North America, but progress is being made. Are you tempted to splurge on this one for 3DS? Be sure to check back later today for the full interview, in which we talk to Beddoes about how the game came together, the roles of ScrewAttack and James Rolfe, and more beside. Has anyone played this? Is it any good? Are there things like voice-clips from the show? Used to watch him quite a bit when he started out, would be interested in buying this if it's any good! @Mogster It is good. No voices, though. @Mogster Like Seanmyster6 said, no voices. However, it's still a thoroughly enjoyable game. Just be prepared to die. A LOT. I'd much rather have it on my 3DS than Wii U - games like that are better when you can take them everywhere with you, and though I never really planned on picking up the home console version, I might take a look at this if the price is right. I'll buy this when it reaches Europe. I have followed James Rolfe (who plays the AVGN) for years! I saw gameplay and it looks a funny challenge. If this doesn't happen, instead of buying anything Nintendo again, I'd rather have a buffalo... well, you know the rest. It's a solid platformer and A LOT OF FUN. It's not slapped together by any means. 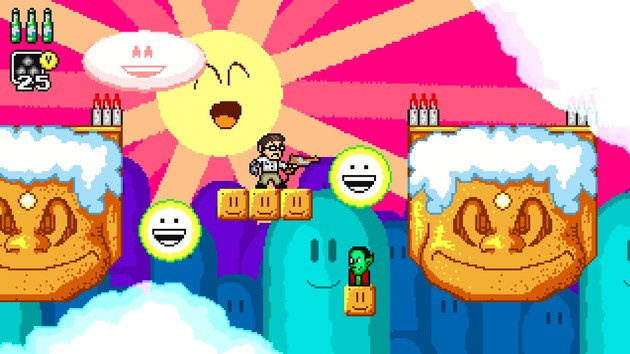 Some levels and bosses will drive you nuts though. I'll be picking this up, as it just feels more at home on the 3DS for some reason. The final boss drives me crazy, though. I'll definitely pick this up for the 3DS. Lots of hours of fun and frustration combined waiting for me. Although it'll probably be a while before we get that version in Europe.